As part of our Tackle Mental Health remit, The Salford City Reds Foundation and Start in Salford have been working together to ‘Tackle Mental Health’ in the community over the past year. This began after SCRF started delivering a governing body lead Mental Health programme that evolved after the untimely death of a former Rugby Lesague player. 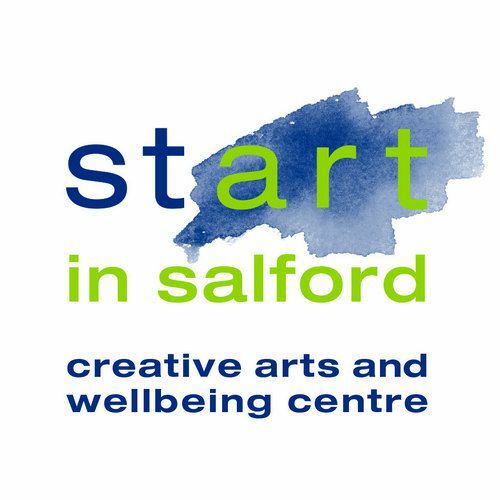 Start in Salford is an Arts & Wellbeing Centre which provides emotional wellbeing and recovery through creative arts-based activities and training opportunities to vulnerable family members in Salford. The organisation provides an innovative range of creative arts programmes that are directed to improving and enhancing the quality of life, health, wellbeing and social integration of the target groups within the local community, in particular older people, young people and people who are, or maybe at risk of experiencing mental health difficulties or social exclusion. Health Officer at SCRF Danny Doherty said, "It's a great opportunity for us to partner with a creative specialist in tackling this issue in Salford. We hope that our combined efforts can make a real difference and we look forward to continuing our work with Start". You can help too, whether you can spare Start in Salford a few hours or a few pounds, your support is priceless. Visit Start in Salford’s website at www.startinsalford.org.uk, email info@startinsalford.org.uk or call 0161 351 6000 if you’d like to know more, or alternatively contact Danny Doherty, SCRF Health Officer, on danny.doherty@reds.co.uk . Alternatively supporters can make donations of up to £10 by texting SINS00 and either 1, 2, 3, 4, 5 or 10 to 70070 to make their donation. The text message is free and all of the donation will be passed to Start in Salford.